The strong interest in mental health research exchanges continues to encourage researchers in Japan and Australia. This March 2015, The National Centre for Neurology and Psychiatry hosted a Joint Seminar on Mental Health Research with University of Melbourne’s Department of Psychiatry. This was a key opportunity for growing connections both institutionally and individually. Sessions were presented by researchers from both organisations, people who are significantly committed to mental health research, in laboratory sciences such as neurobiology and psychophysiology, in epidemiology, in the development and evaluation of treatments and in health services research. Dr Hisateru Tachimori from the NCNP chaired the first session featuring current Japanese research topics from Dr Daisuke Nishi, Dr Chisato Wakabayashi and Shizuka Kawamoto. The second session chaired by Dr Jerome Sarris featured researchers from University of Melbourne including Karen Savage, Gina Oliver and Jenifer Murphy. Professor Chee Ng provided final commentary for the proceedings. Further research links and collaborative projects are being planned between participants from both sides. National Center of Neurology and Psychiatry Director General, Dr Fukuda met with the University of Melbourne team and offered support for the collaboration, including promoting research in neuroscience. Shared research areas of interest include biological research, neuroimaging, genomics and clinical therapeutics. 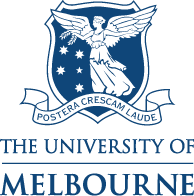 This program follows on from the 2014 Melbourne Symposium (http://research.mdhs.unimelb.edu.au/event/joint-symposium-department-psychiatry-and-national-center-neurology-and-psychiatry-japan) It is hoped that the current joint research activities between National Center of Neurology and Psychiatry and the Department of Psychiatry, University of Melbourne will also provide the junior researchers an opportunity to further develop their collaborative projects.